We are visiting my home town this week. Jack and I have accidentally turned a one night trip into three. Rick is working on his sweeps package and is recovering from his recent dance off for a great fundraiser for the Alzheimer’s Association. I got to spend one evening with two of my very best friends. 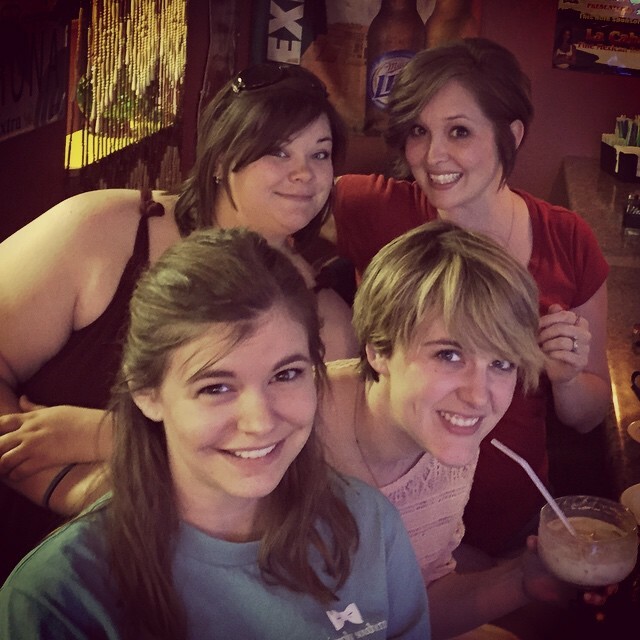 We went to the only Mexican restaurant in our tiny town to celebrate Cinco de Mayo. Maggie, Kristen, and I at one point all lived in the same place and spent hours at a time doing nothing together on a regular basis. We were always good at nothing. That’s how you know you’ve reached the ultimate comfort level. When friends turn to family. When girl dates turn to watching The OC reruns until some minor responsibility needs to be carried out. Last night, we had planned on having some drinks and painting our nails. Things were supposed to get loud. Dancing and song bursts were supposed to occur.